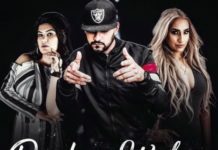 Wait Lyrics – Karan Randhwa Jass Manak Cheti Cheti Aaja Sohneya Teri Chira To Main Wait Kardi Is New Song Sung By Karan Randhwa. Music Is Composed By Game Changerz And Lyrics Are Penned By Jass Manak. Song Is Released By Geet Mp3 On 10th Dec. 2018. Enjoy The Lyrics, Whatsapp Status And video Song Of Wait By Karan Randhawa. Game Changerz In The House Baby !!! Jatti Khushi Vich Hoyi Payi Aa Tight Ve.. Ve Main Khud Nu Na Late Kardi..
What is meaning of ‘chiraa ‘?